Sign up to become a qualified Mental Health First Aider with MHFA England. Organised by the Old Oak Community Champions, this four half-day training programme teaches attendees how to identify, understand and help someone who may be experiencing mental health issues. Poster attached with more information. The training is taking place at The Invention Rooms, White City on 24th and 25th April and 13th and 14th May from 09.30 – 13.30. You must attend all four sessions. Funded places for LBHF residents are available. Places are limited, if you are interested in attending please contact:Caroline.Lister@peabody.org.uk by Tuesday 23rd April. Applications are now open for the White City Innovators’ Programme at the White City Campus. Run in association with NatWest, the 5-week programme gives entrepreneurs and start-up companies working on an tech-enabled service or creating an innovative product in any sector free access to work space, workshops designed to help them grow and access to change makers through Imperial College. The programme is designed to help entrepreneurs take the next step in their business journey, from learning about the responsibilities of company directorship to what angel investors are really looking for. The programme is open to local entrepreneurs and companies based in the borough of Hammersmith and Fulham, as well as the Imperial community. If you are an entrepreneur with an innovative idea, product or early stage company you should consider applying. Applications close 12.00pm on Wednesday 1 May 2019. For full entry criteria, more information about the programme and to apply, please visit the White City Innovators’ Programme application page. 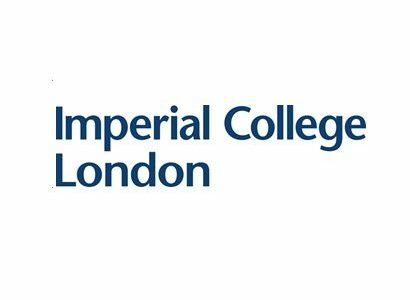 If you have any questions, please contact Richelle McNae on r.mcnae@imperial.ac.uk. Applications for our free Maker Challenge Summer Intensive programme are now open! Over two weeks, local young people aged 14-18 will prototype, design and make with access to cutting-edge equipment in our state-of-the-art workshop. We teach a crash-course in 3D printing, laser-cutting, woodworking, electronics, CAD, programming and working with materials. At the end of the programme the young people will present their inventions and prizes will be awarded to the most creative designs.